Knicks Go entered his winter break with 18 Kentucky Derby qualifying points to his name courtesy of a victory in the Breeders' Futurity (G1) at odds of 70-1 and a second-place effort in Breeders' Cup Juvenile (G1) at odds of 40-1 last fall. 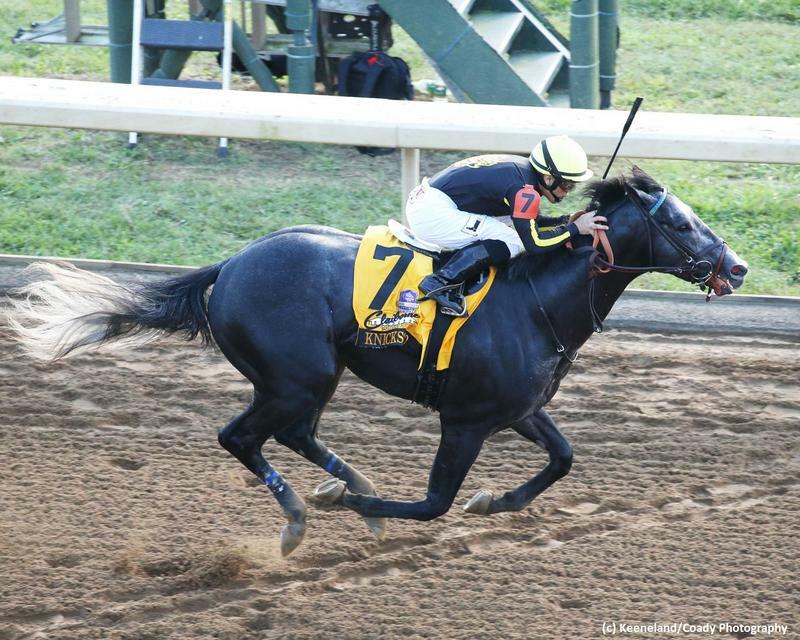 Nonetheless, the gray son of Paynter arguably has something to prove in the first start of his three-year-old campaign, Saturday's $250,000 Sam F. Davis (G3) at Tampa Bay Downs. The 1 1/16-mile Sam F. Davis, a prelude to next month's Tampa Bay Derby (G2), offers Derby qualifying points of 10-4-2-1 to the top four finishers as part of the Road to the Kentucky Derby series. While Knicks Go's efforts in the Futurity and Breeders' Cup were rock solid, the Ben Colebrook trainee took a step back in the Kentucky Jockey Club (G2), contested over a sloppy track three weeks after the Juvenile. The 3-1 favorite, Knicks Go tracked in second to the stretch before giving away badly and finishing 11th in the field of 14. The two other prior stakes winners in the field are Well Defined, who captured the In Reality division of the Florida Sire Stakes before running up the track in the Breeders' Cup and $100,000 Mucho Macho Man at Gulfstream, and Five Star General, who captured the off-the-turf $100,000 Central Park at Aqueduct in November. Todd Pletcher used Tampa Bay Downs to prep his two Kentucky Derby winners, Super Saver (2010) and Always Dreaming (2017). He sends out a son of Super Saver, So Alive, in the Sam Davis off a 1 1/2-length allowance win over the strip in early January. Last-out maiden winners Kentucky Wildcat and Still Dreaming could attract support. Looking to improve off a disappointing third as the 7-5 favorite in last month's $75,000 Pasco is Cave Run, a dominating debut win before that for Godolphin. Approximate post time for the Sam F. Davis is 5:15 p.m. (EST). You can watch and wager on the race at TwinSpires.com.